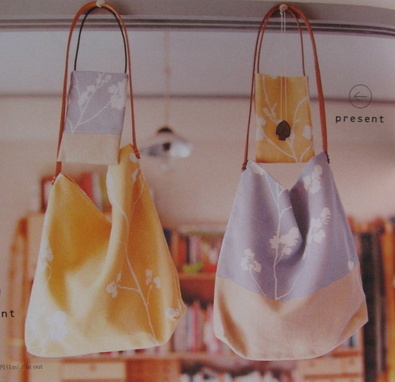 Lots of all lovely shapes in this one, most with full size paper patterns. As usual the patterns are pretty easy to figure out. My favourite baby stuff book is this one and another which I will post photos of next week. Favourite embroidery book this one. And this one for bears. For illo cutness you can't beat this and this . 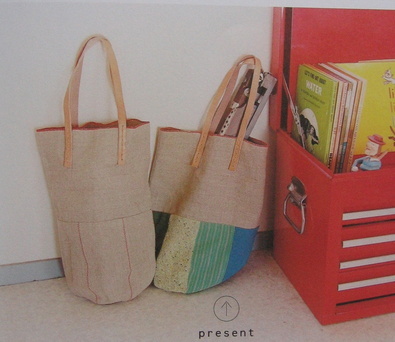 And two of my favourite zakka books here. Right, that will do for now. It's back to the garden and the sunshine for me.
' Lolling around ' in the garden that is - not actually ' gardening '. I hate gardening, it's like housework - you do it and then it all comes back again. Like... ummm... ' lolling around ' in the garden, stitching. I am a junior crafter learning things as I go (with very mixed success), have been reading your blog for about a year now, it is wonderful! Full of inspiration, brings a ray of sunshine to my day. Thanks so much for the book references am going to treat myself to one a month (if I can find them). And the bags do look simple don't they? There are so many ideas out there around design and fabric ... it all gets overwhelming at times. Thanks for sharing! i like the embroidery one. my husband has just spent the week in singapore with his 2nd year students and brought back so many craft books and magazines he nearly had to pay excess baggage for them all! I love the books. 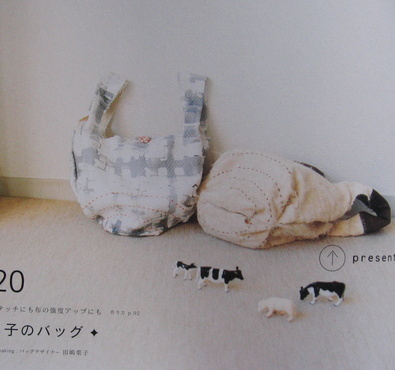 I've seen a few Japanese craft books now but I'm rather nervous of buying one as (obvioulsy) they're in Japanese. Can you let me and others know in another blog post how you get on with them and what to watch out for. 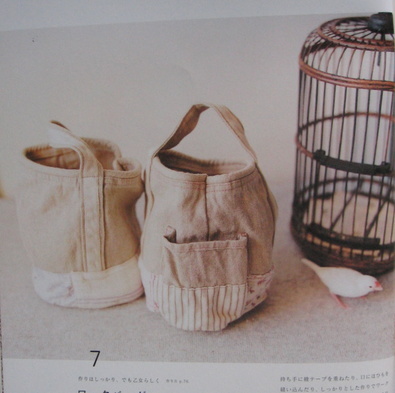 oh I just love a bit of japanese craft book eye candy! Gotta say: I just ENVY your book collection sooooo much! You have perfectly defined housework for me. I hate it! I mostly hate the way it comes back AGAIN and AGAIN and makes me feel like such a slob. The garden doesn't bother me so much: I didn't make that mess! You're right! there are better things to do than gardening...Like reading your blog! Thanks for the info on the japanese books! All of those pictures look lovely I would have a difficult time trying to decide which one to tackle. Thanks for the recommendations! I have the bag book you mentioned first, it's my favourite too. More, more, more! Good stuff. I'm on the lookout for cuteness- I'lll be an auntie soon! I'll come back. ooooh. thanks for sharing those bag photos. they are quite inspiring. Oh I'm with you hate those never ending tasks like wahing up, no sooner done and it's back again. Now lolling around I can do that for hours on end. what a wonderful book selection! i have some of the ones you mention and share your love for them. enjoy lolling around in the garden! I love that you're posting your favorites! I'm always so overwhelmed by all the choices. oh boy, I have to get my hands on that bear book--thanks for the tip! Well, that was a quick shopping trip--yes asia for me for that bear book! 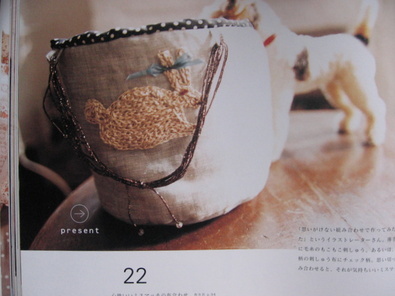 Thanks Dearie!--oh, and I got that sock animal one too--you know the one with the white cover and white doggy on it? 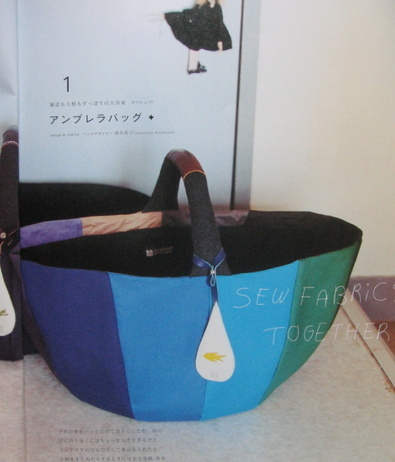 What great bags! I'll take one of each please! Oooo, it looks like a great book! 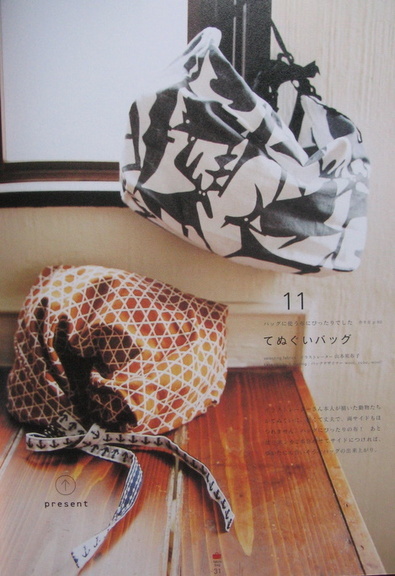 I love the simple shapes and lovely fabric choices. My computer is really slow these days and I don't get to read all my fav blogs. I finally came back to yours. So many cute things. I love this book too and look over it everytime I find it at the bookstore. 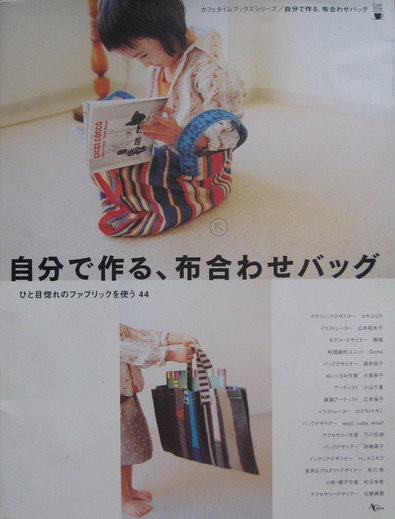 I love the girl sitting/reading inside the big tote and we actually own that book she's got (Cicci Cocco). It's the best!